Today a friend asked me about suggestion for books for boys through the elementary years. Since I have not had children in these years yet I found some helpful websites that I wanted to share and asked a consultant (hehe, my little brother) about his favorite books at that age. I hope that these resources help! 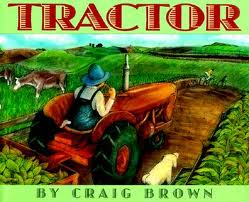 Summary: TRACTOR by Craig Brown takes the reader on a visual and auditory trip with a tractor, season by season. 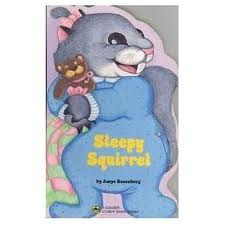 Of course, my little guy enjoyed this book because he loves anything that has wheels. The illustrations are simple and earthy, yet captivating. I appreciated the simple review of what each piece of machinery accomplishes. Pros: An easy overview of field work on a farm for those of us who have never experienced farm life. Cons: Due to the earthy tones of the illustrations, some pages tend to have a darker tint, making them a bit difficult for my vision-impaired children to see well. In searching for busy bag ideas for my toddler I came across this great blog and wanted to share it with my readers. Enjoy! 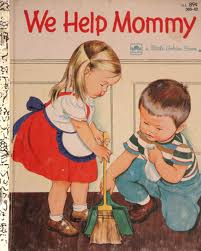 We Help Mommy by Jean Cushman is yet another well-loved Little Golden Book in our home. Brother, Bobby, and (Is Sister used as her name? If not, use “sister, Martha,” )Sister, Martha, find lots of ways to help their mommy around the house. They dress themselves, help with breakfast, sweep, set the table, and so much more! It is encouraging to little ones to see other children doing tasks similar to those they are being taught, as well as for moms to see the types of chores that these young children could be assigned. I love the balance of work and play that is found in this book as well as the affirmation of a job well done. Also, the 1950’s illustrations by Eloise Wilkin are captivating and colorful. Pros: Helpful for teaching children about chores. Cons: Could I ever hope to get as much done as this mommy in one day?! Who doesn’t love panda bears? What child doesn’t love to get messy with paint? 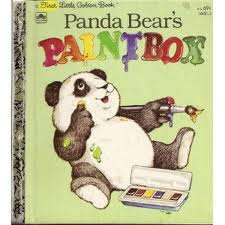 Panda Bear’s Paintbox by Michaela Muntean takes a young panda on a learning adventure as he receives a new box of paints and paints a picture of himself with a friend. Pros: A creative method to review colors, learn the basics of mixing colors, and discover the joy that can be found through art.